List of vacant land parcels in Winterville. Use the parcel number search in Pitt County's Online Parcel Information System "OPIS" for more information: http://gis.pittcountync.gov/opis/. Contact our Economic Development Department for further information or ways to contact the property owners. 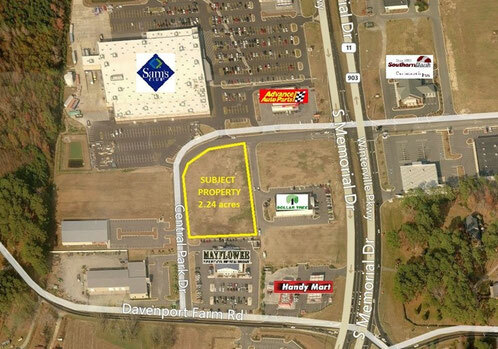 OppSites provides an interactive map of Winterville's Vacant Commercial Land. Click the "OppSites" logo to the left. List of vacant commercial buildings in Winterville. Use the address in Pitt County's Online Parcel Information System "OPIS" for more information.